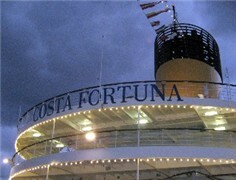 Costa has ordered two new 114,200-ton ships to be delivered in 2011 and 2012. The vessels will be built by Italian shipbuilder Fincantieri. Cost is $1 billion per ship. The new ships will each be able to accommodate 3,012 guests. 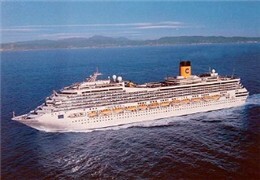 Visit www.costacruises.com. You don't have to head for Europe. Italian-style cruising is alive and well in America on Costa! Cruise expert and journalist Georgina Cruz looks at Costa Cruises, its onboard ambience, its fleet and its product. From late fall to early spring, Costa sails from Port Everglades to the Caribbean offering a plethora of journeys. Come along as Georgina fills us in on what potential guests need to know about the Costa experience.